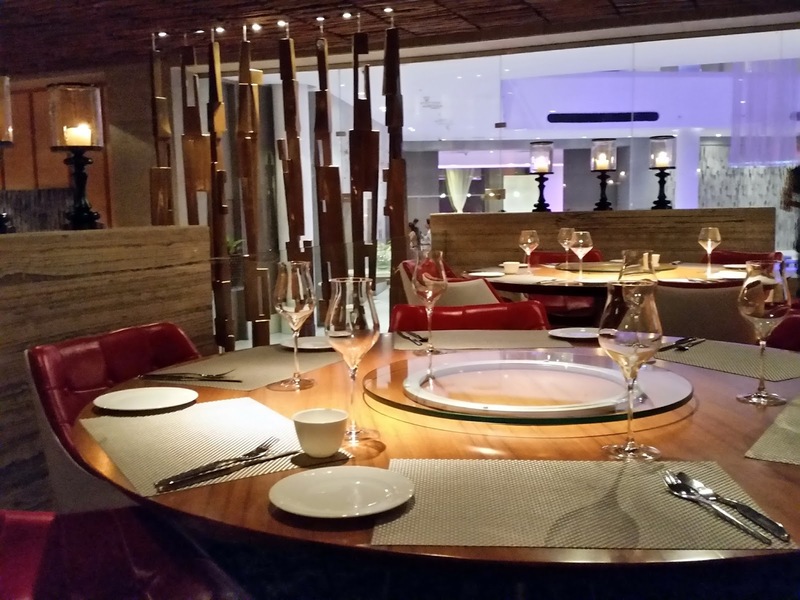 Ohm, the restaurant in Hotel Avasa, Madhapur, had so far been quite well known for its Pan Asian cuisine. However, the concept of this restaurant has been given a makeover with Chef Tarak Nath at its helm. Chef Tarak is the person behind Mekong, the immensely popular oriental restaurant of Hyderabad. 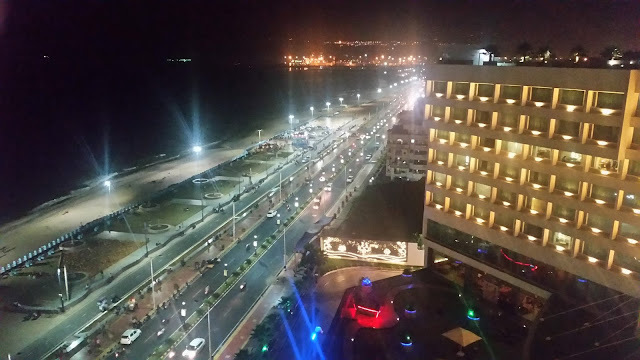 The restaurant has introduced a new menu to bring in the concept of contemporary Asian cuisine, which has become very popular all over the country. It is essentially an experimentation in fusion of Asian cuisine with ingredients from all over the world. 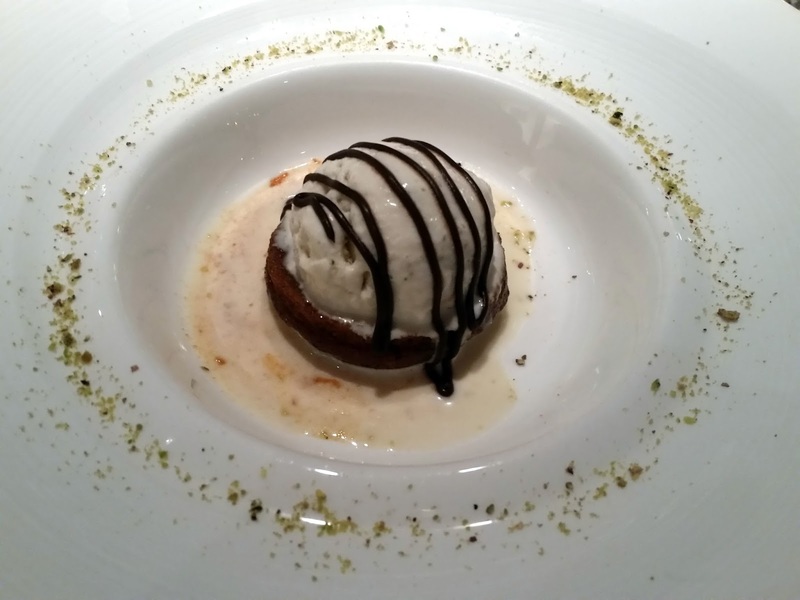 Invited to taste some of the highlights put in the form of a set menu, we were first explained the rationale behind the concept of contemporary cuisine. Chef Tarak Nath, an expert in Pan-Asian cuisine, spoke of his desire to offer something new and different to the food lovers of Hyderabad. 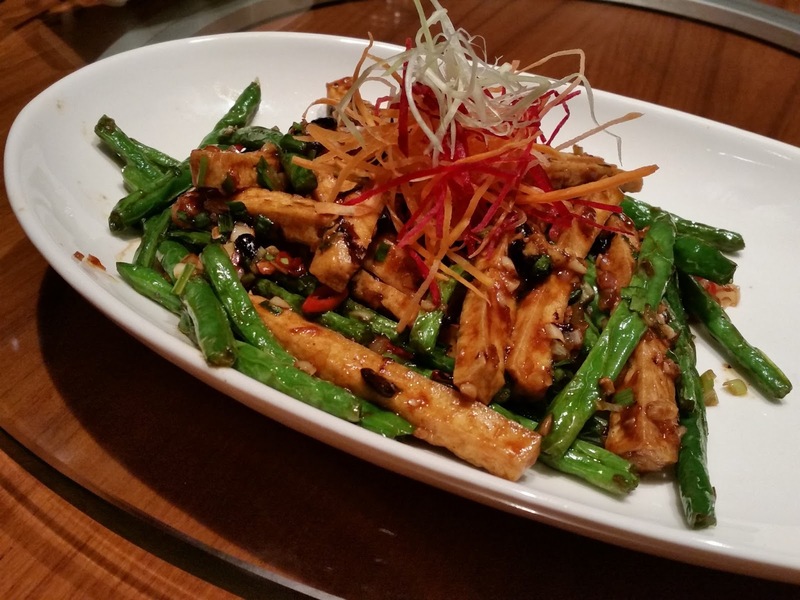 Mekong, which remains under his wings, will continue to offer the traditional Pan-Asian fare. 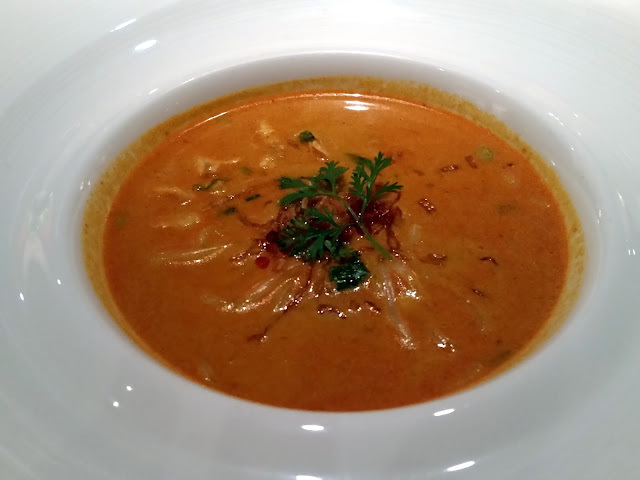 The tasting started with the Penang Chicken Laksa. The thick noodle soup had a rich fragrance of coconut milk and lemon grass and the taste matched the appetizing looks. The salads included Crispy Peking Duck Salad and Japanese Ginger Salad. I love Gari, the Japanese ginger and it was nice to taste a salad combining this with fruits and vegetables. 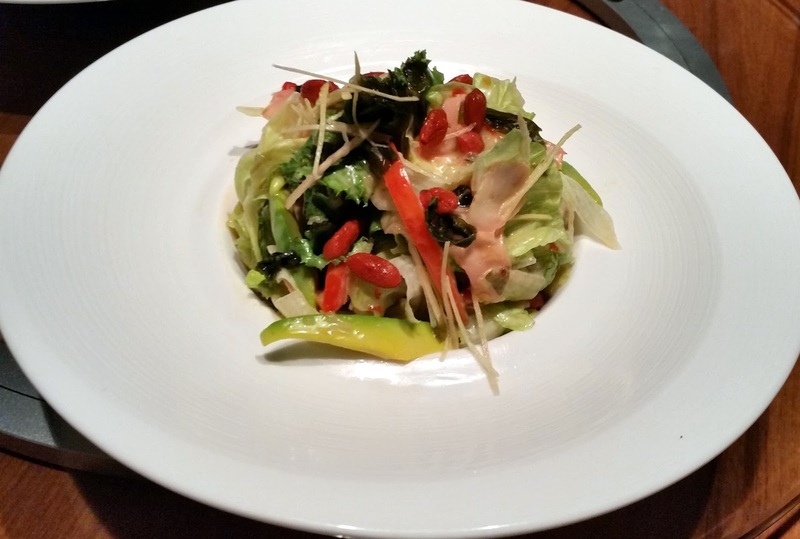 The Peking Duck salad had slices of duck meat with lettuce, sprouts and pine nuts in a special sauce prepared by the Chef. 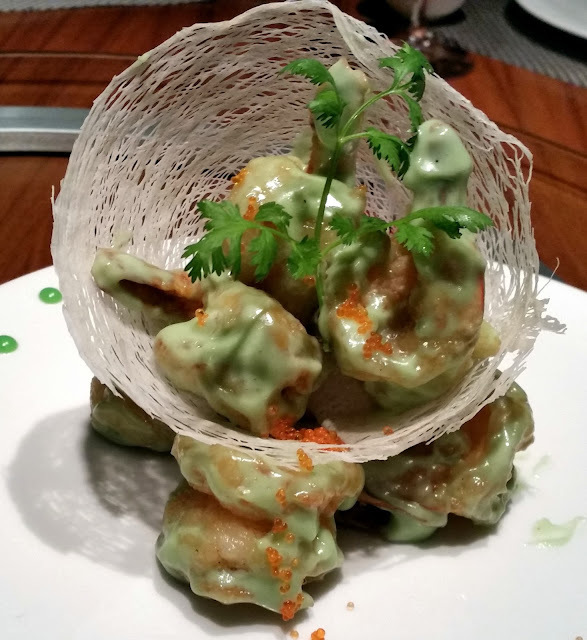 Among the starters, the Wasabi Prawns has always been a signature dish of Ohm, and this has been retained in the menu. The strong flavoured prawn preparation, which has always been my favorite, was good as usual, though a little more wasabi suits my palate. 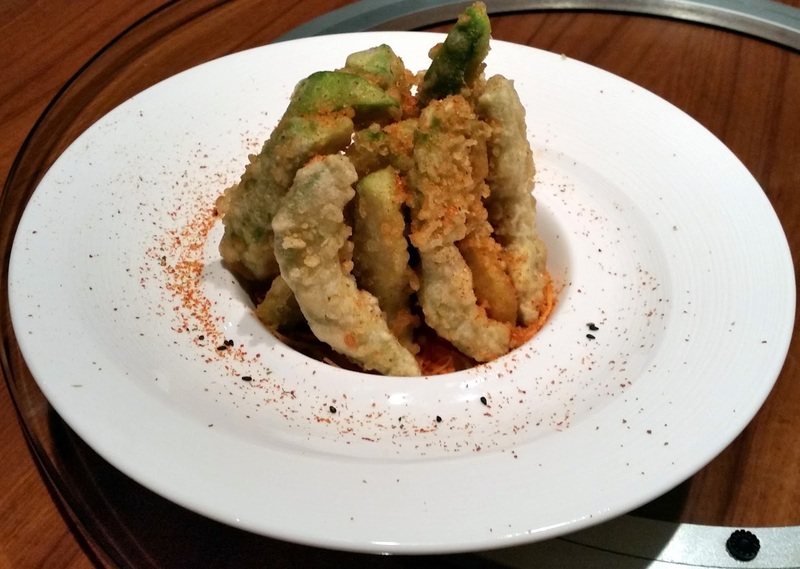 Avocado Tempura was another experimentation into contemporizing the Japanese recipe with avocado. The main course had Lamb Rendang, a Malaysian delicacy. The spice mix in the curry was brilliant and it went well with the Ginger Bean Sprout Fried Rice. The Kung Pao Okra was also very well prepared and was spicy enough to suite the Hyderabadi palate. The other vegetarian preparation was Stir Fried Bok Choy and Water Chestnut and Bamboo Shoot. Thai Jungle Curry or Kaeng Pa, a recipe from Northern Thailand had assorted veggies like bamboo shoot, ring beans, broccoli, carrots and eggplant with kaffir lime leaves, lemon grass and galangal. 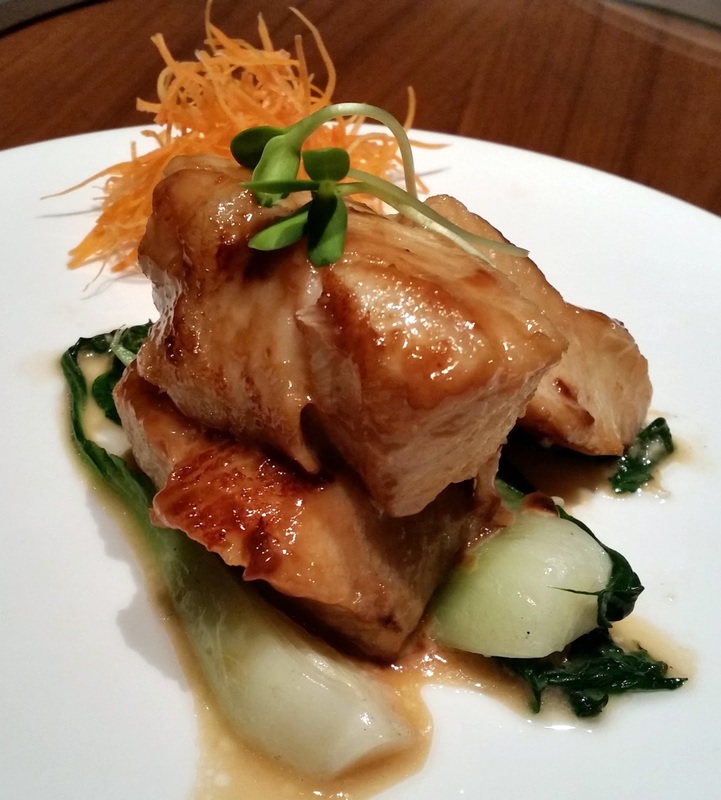 Miso baked Cod, was essentially cod fish chunks prepared in fermented Japanese seasonings and a subtle sauce. 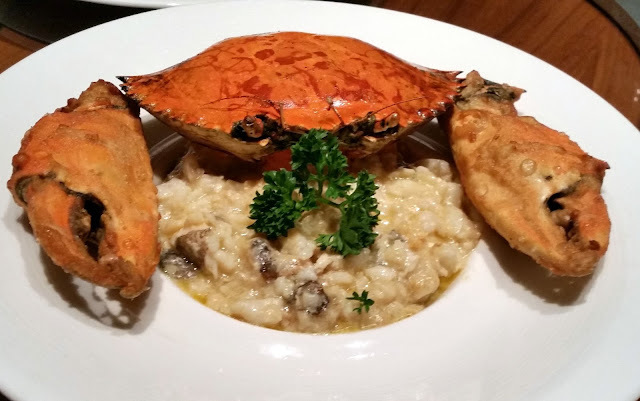 The best presented dish was easily the Butter Garlic Crab, the soft crab meat in melted butter served with shell around it for styling. Among the desserts Warm Date Pudding with Ginger Ice Cream deserved a special mention – the Thai ginger based ice cream was especially delectable. Sesame Crème Brulee and Dutch Chocolate Truffle were the other dishes in this section. Overall, it was a very good experience. 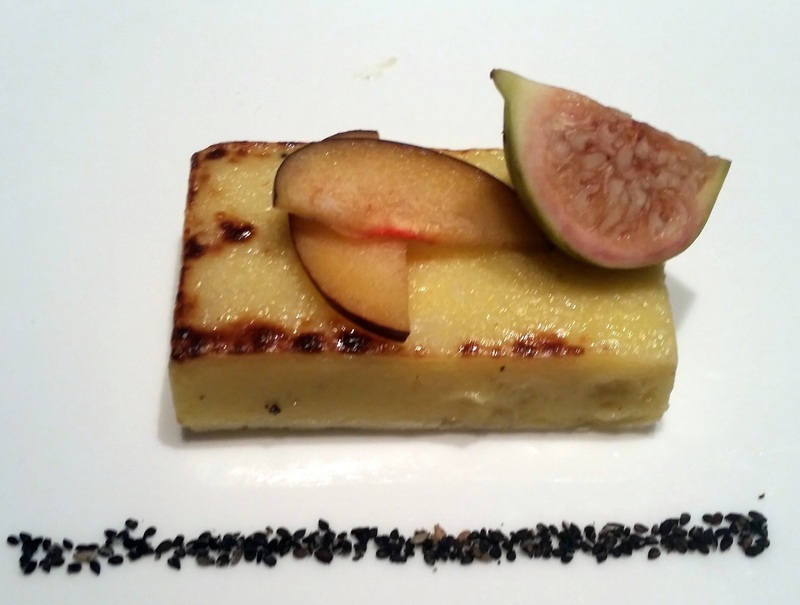 The experiments with fusion at Ohm has resulted in some really interesting and different dishes. The new menu here also retains some of the popular items from the earlier offerings and also incorporates a range of sushis and dim sums. 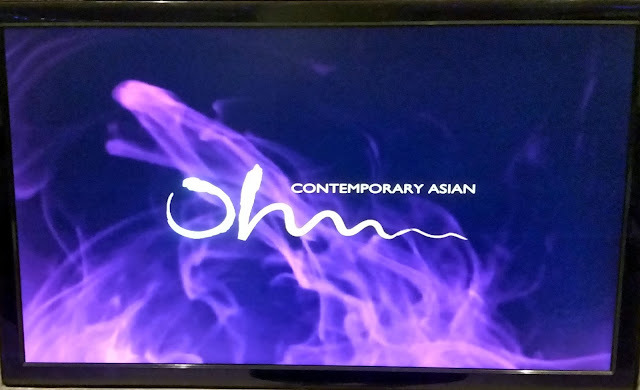 If you are satiated with traditional oriental food and want to try out something new, Ohm should be the next place on your list.